It’s been hot in Buenos Aires but, of course, that’s not unusual in January. 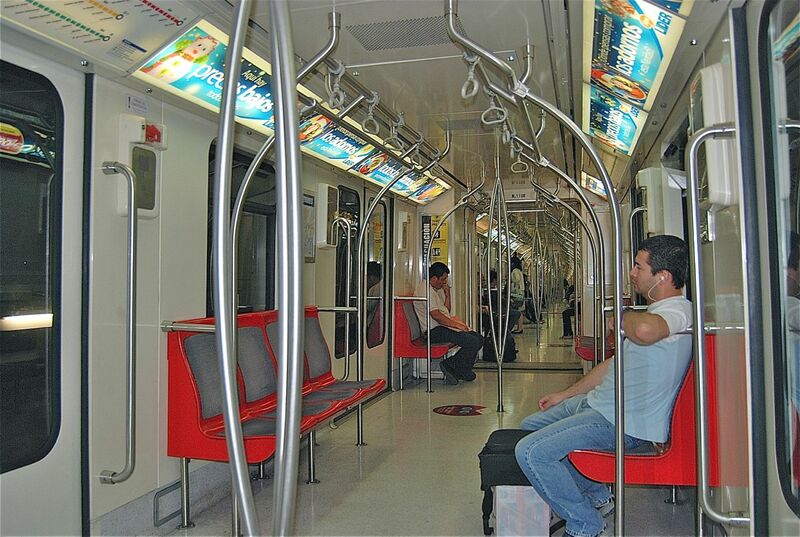 What’s made it hotter is that, with the New Year, the federal government turned over authority to the Subte (the capital’s underground railway) to the city administration of mayor Mauricio Macri, with the knowledge that Subte fares would have to rise. After a city court affirmed the legality of the increase, it has taken effect – in theory. That’s because employees of Metrovías, the private concessionaire that runs the Subte, object to the fare increase even though it would help pay their salaries. Despite receiving a 200,000-signature petition, Judge Fernando Juan Lima dismissed a legal freeze on fares; in response, the employees have opened the turnstiles between from 7-10 a.m. and 4-7 p.m. weekdays, so that the great majority of city commuters are riding for free. At other hours, riders must pay the 2.50 peso fare, a 127 percent increase over the previous 1.10 peso rate. That sounds like a lot, but federal government subsidies had maintained the previous rate for years and, even with the peso increases, fares are actually cheaper in dollar terms than they were a decade ago. At that time, with peso at par with the US dollar, the fare was 70 centavos; before the recent peso increase, it was was approximately US$0.25 – that is, in an economy suffering roughly 25 percent inflation (despite official figures of around ten percent), the price of commuting in Buenos Aires had actually fallen by more than 60 percent. Even after the current increase, the fare of US$0.59 represents a fall of more than 15 percent since 2001. 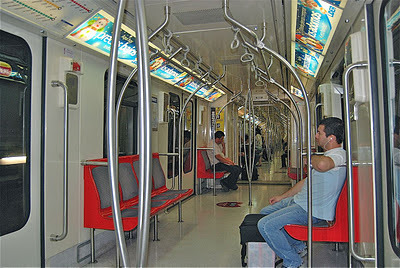 By contrast, fares on the Santiago Metro (pictured immediately above) range from 530 Chilean pesos (US$1.05) to 640 Chilean pesos (US$1.28). 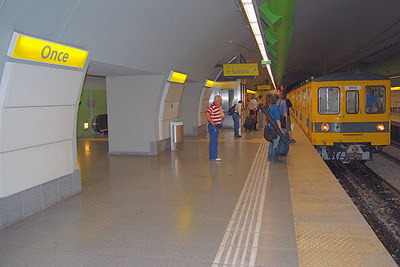 Of course, as I’ve written before, Santiago riders are getting more for their money – the Chilean capital’s system is more extensive, and modern, than the Subte. In recent years, the Buenos Aires system has expanded to previously underserved neighborhoods, but it still lags far behind Santiago’s impressive expansion. It’s probably no coincidence that, today, Macri announced the start of construction on six new stations on Línea H, the north-south line (pictured at top) that will help some passengers avoid downtown – until now the only place to change lines easily - and shorten their commute times. 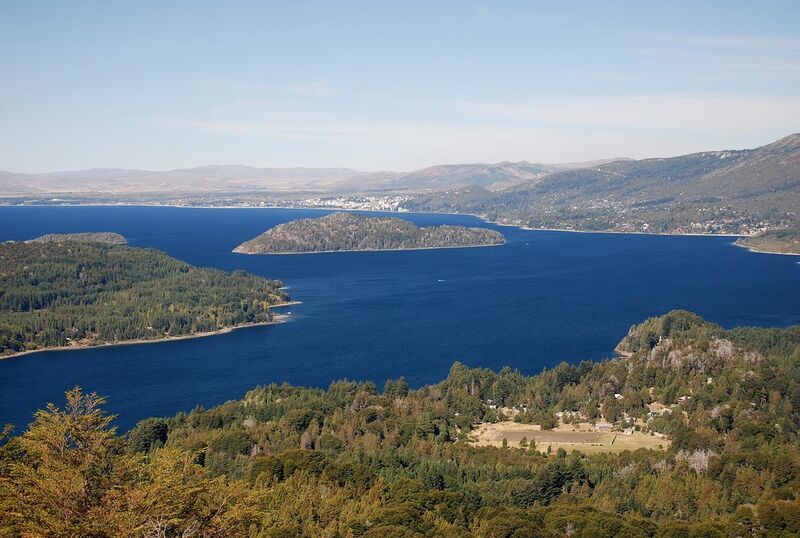 At the other end of the transportation spectrum, San Carlos de Bariloche’s Aeropuerto Teniente Candelaria reopened last Friday after being closed for months because of ashfall from Chile’s Puyehue-Cordón Caulle volcanic complex. Local residents had hopes that a restored flight schedule would help kick-start a slow tourist season in one of the Andean lake district’s prime destinations (pictured below). 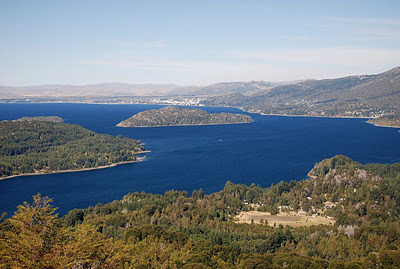 For much of the summer, Buenos Aires passengers have had to land in Neuquén (429 km northeast) or Esquel (290 km south) and continue overland to Bariloche (which, admittedly, is better than a 1,600-km bus ride of up to 25 hours). As of Monday, though, the wind kicked up enough ash that both Aerolíneas Argentinas and LAN Argentina had to divert their flights once again. Today, flights resumed again, but it wouldn’t be surprising if this pattern continued on and off the entire summer or longer. Volcanoes and other natural phenomena do not respect vacation time.